Sniper rifles allow specialist soldiers to hit intended targets from long distances and can be used to take down enemies, destroy sensitive equipment, and carry out controlled detonations of explosives. What are the best sniper rifles in the world today? 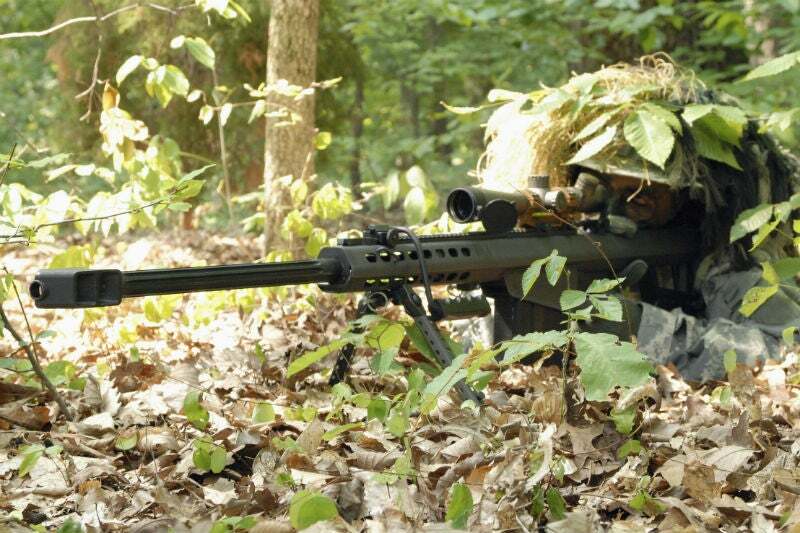 Sniper rifles allow specialist soldiers to hit intended targets from long distances. What are the best sniper rifles in the world today? Credit: US Army. With its powerful scope and long barrel, the sniper rifle is one of the most recognisable weapons in an army’s arsenal and has been popularised through historical events, film and other media. Military sniper rifles are built to offer higher precision and to be more durable, reliable, and easily repairable in adverse conditions. Today’s sniper rifles are manual bolt-action or semi-automatic and make use of an open aperture or telescopic sight for extreme accuracy. What are the best sniper rifles in the world at the moment? The Barrett M82, known by its US Army designation M107, is up there as one of the best sniper rifles on the market. Primarily intended as an anti-materiel weapon – designed for use against military equipment – the M82 is known for its ability to penetrate brick and concrete, and even a tank’s armour at close enough distances. It was originally designed by Barrett Firearms Manufacturing in 1982 to destroy sensitive enemy equipment such as radar equipment, trucks and parked aircraft, as well as for the remote destruction of explosives. The 120cm-140cm long rifle can fire either the .50 BMG centrefire cartridges or, in the case of the .416 Barrett, a ten-round detachable magazine. At 13.5kg-14kg, it is one of the heavier sniper rifles on the list. With a muzzle velocity of 853m/s and an expected firing range of 1,800m, it is no wonder the M82 is in use in more than 50 armed forces, has seen action in Iraq and Afghanistan, and is also a fan favourite with players of the Call of Duty video game series. Two variants of the M82 exist: the original M821A and the bullpup M82A2, however the latter is no longer produced and is set to be replaced by the Barrett XM500, a new gas-operated, rotating bolt sniper rifle currently in development. The Austrian-built Steyr SSG 69 is one of the best sniper rifles in terms of accuracy and precision. Since 1969, it has been used in many conflicts in the Middle East and Asia and is currently the standard sniper rifle for the Austrian Army. The SSG 69 has impressive accuracy and is considered most effective at a range of 800m. At a weight of 3.8-4kg, depending on the variant, it is significantly lighter than the Barrett M82 so uses shorter rounds – either the 7.62x51mm NATOm known commercially as the .308 Winchester, although these are loaded at different pressures. The five-round rotary magazine design is also unusual for sniper rifles. In 2015, Steyr terminated production of the SSG69, and the Steyr SSG 08 is touted to be its successor with the Austrian Army. The new SSG 08’s barrels are cold-hammered, allowing for a harder and smoother internal barrel that causes less friction and is less prone to corrosion. The Arctic Warfare Magnum (AWM) is a high-precision sniper rifle specifically designed for operability in Arctic temperatures. 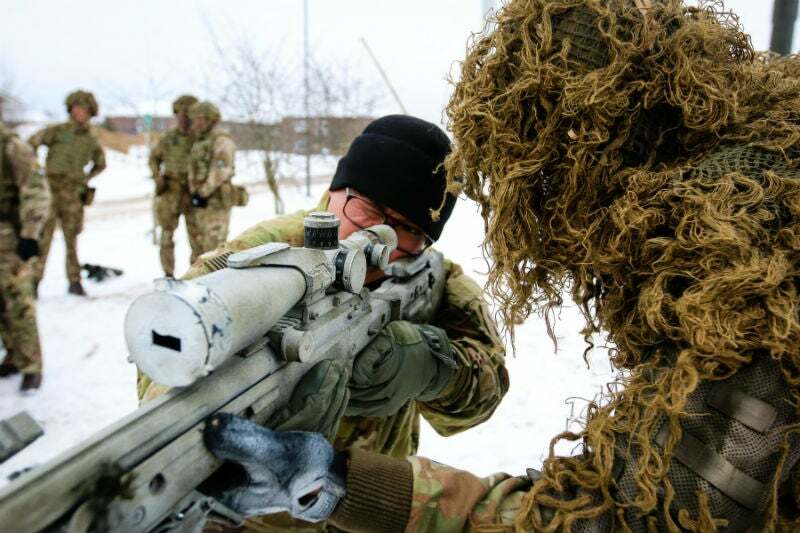 UK firm Accuracy International built many variants of the Arctic Warfare sniper rifle, including the AWM and the AW50. The AWM’s unique feature is its Magnum cartridges, which are larger and more powerful than found on traditional rounds. The AWM exists in both .300 Winchester and the .338 Lapua variants held in a five-round detachable box magazine. 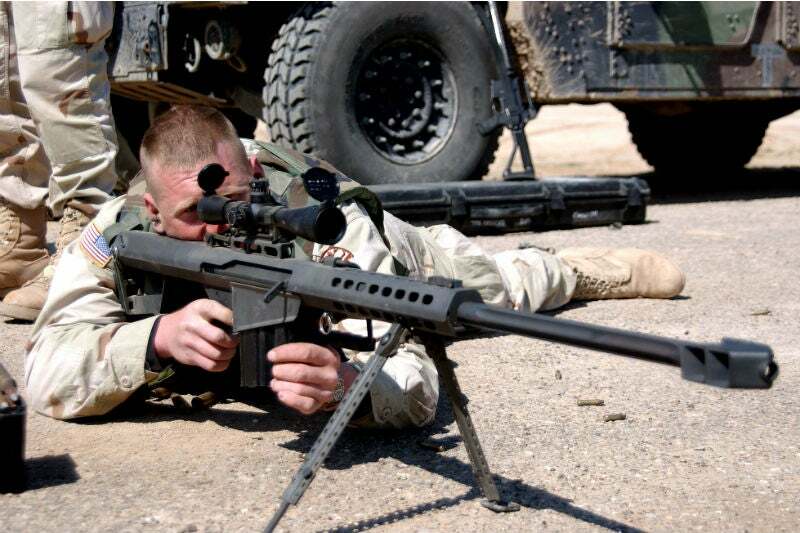 The latter is designated as a super long-range sniper rifle and has a long effective firing range of 1,500m-1,700m. For super-long range firing, the AWM Lapua can incorporate a detachable aperture-type iron sight and day and night thermal optics for low light conditions. British Army Sniper Corporal of House Craig Harrison achieved the record for the longest sniper kill in November 2009, unleashing a critical shot from a range of 2,475m from an L115A3, the British Armed Forces’ designation for the AWM. This record would be beaten in 2017 by another sniper rifle on this list – the McMillan TAC-50. The McMillan TAC-50, US military designation Mk15, is a long-range anti-materiel and anti-personnel sniper rifle used by US Navy SEALS and has been the standard sniper rifle of the Canadian Army since 2000. A bolt-action sniper rifle, the TAC-50 includes a heavy 73.7cm match-grade barrel, which is fluted allowing for quick heat dissipation and an effective muzzle break to minimise recoil. Despite the heavy barrel, its stock is made from fibreglass and in all the rifle only weighs 11.8kg. While it has no permanent open site, the TAC-50 can support a range of telescopic and night sites. 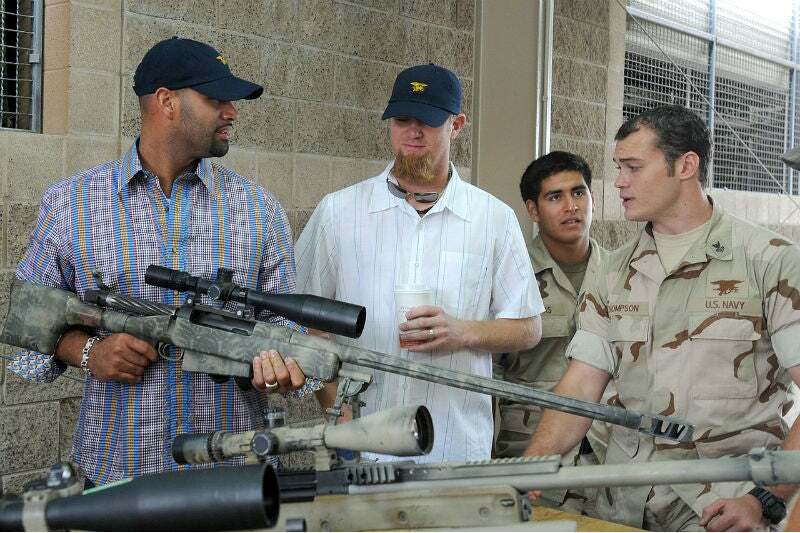 Notably, the TAC-50 was the sniper rifle used by the ‘American Sniper’, US Navy SEAL Chris Kyle, whose book account of his tour in Iraq was made into a 2014 Hollywood film. It is also a record-breaker as of 2017. A Canadian Joint Task Force 2 sniper took the record of longest sniper kill during the Iraq War, from a distance of no less than 3,540m. Finland will always occupy a place in sniper rifle history due to World War II sniper Simo Häyhä, who, as the legend goes, successfully took down 505 enemy soldiers over the winter of 1939-40, using only his Moisin-Nagant M28/30 sniper rifle and a KP/-31 submachine gun. 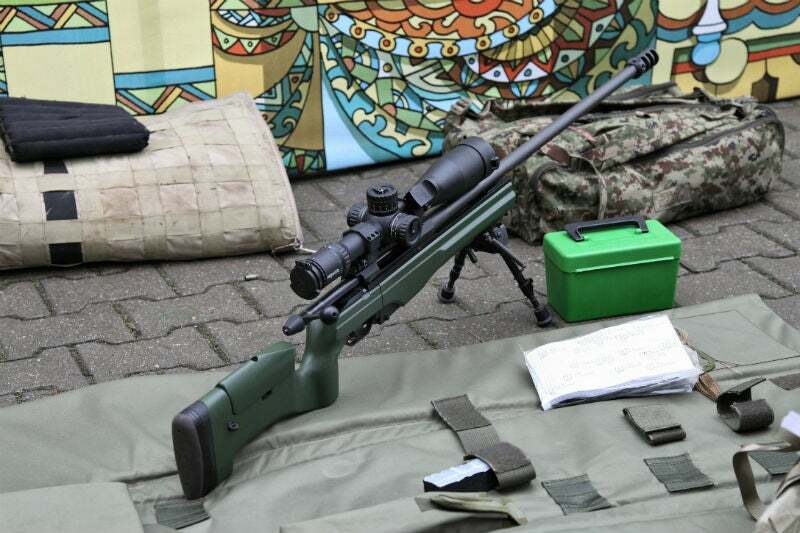 The Finnish-built SAKO TRG 42 is a bolt-action sniper rifle that weighs around 5kg-6kg depending on the variant. Like the Steyr SSG 08 design, the TRG 42 features a cold-hammered barrel and receiver for maximum durability at minimum weight. The TRG 42 uses either .338 Lapua Magnum or .300 Winchester cartridges housed in a five-round or seven-round detachable magazine respectively. The Lapua variant is slightly longer ranged, being most effective at a distance of up to 1,500m. In 2018, SAKO released the TRG 42 A1, which benefits from a modified folding stock that is more robust and eliminates instability in the firing position.